I joined Google one year ago today. It's been a really busy year and I can't believe it's over so fast. I still feel like I just joined and there's so much that I'm still getting used to. Google has been at the same time the easiest and the hardest, the most fun and the least fun company I've worked at so far. I'll try to explain a bit what I mean. But first I want to take a look back at my first year. It's been a whirlwind year traveling and getting used to Google's scale. Going from a 30 person company to a ~50,000 person company was challenging but I've learned a lot. I visited a total of 9 countries: Malaysia, Indonesia, Korea, Taiwan, Singapore, Hong Kong, U.S.A., Canada, and, of course, Japan. I'm based in Tokyo and so I mostly covered countries in the Asia-Pacific region but I was fortunate to have the opportunity to give presentations in front of thousands of people. I'm no stranger to giving talks but the sheer number of people is mind blowing. Another statistic I like to throw around is the number of offices I visited. Google has many offices around the world and I visited a total of 15 of them this year. Many people don't even visit that many during their entire time working for Google. 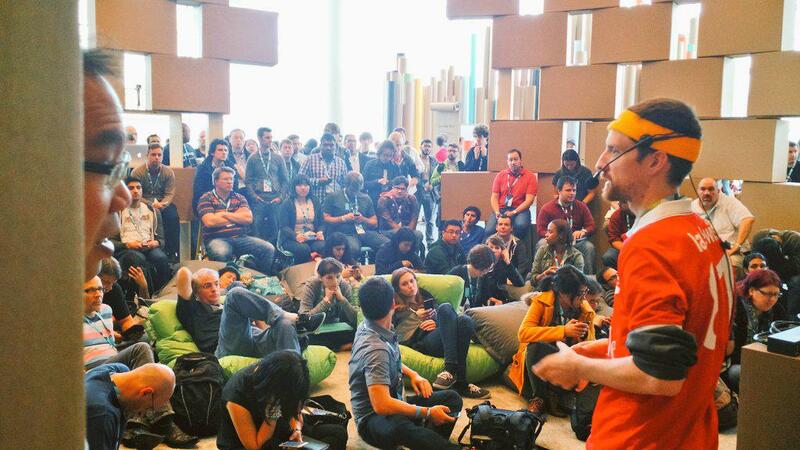 I was really fortunate to have the opportunity to give a small breakout session at Google I/O 2015 on Firebase. It was my first time giving a talk at a such a large conference. It was a really great experience to give a talk at such an amazing venue with so many talented developers. I was really nervous giving a talk in a place like Google I/O but it was a really great experience and I hope I have a chance to do it again someday. I also gave a talk on Firebase at Google Next Tokyo in front of hundreds of developers. Google Next is a Google Cloud Platform related event that Google held in several countries after Google I/O. It was great to take part in such important events that can inspire developers. At Google Next I also helped a little with the Cloud Spin demo. It was a real challenge to get it running. We required a number of components in Tokyo for the demo to work but we were missing a few key components. The demo requires that a sound be sent from an tablet control app into each phone at the same time. 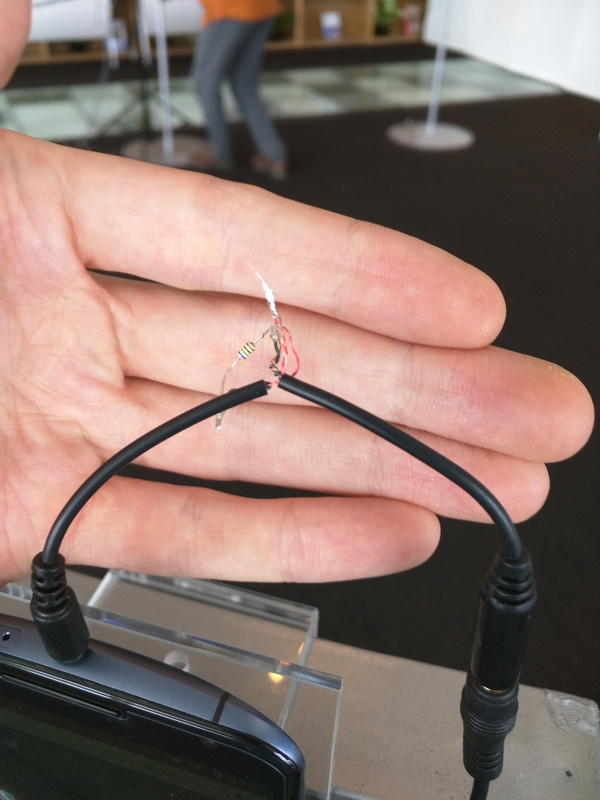 One of the components that allows this was missing so on the day of the event we had to find some audio adapters and solder some resistors into them in order to make the components that we needed. It all came together at the last minute and the demo was a success. It was really great to work together with a team that accepted the challenge to make the demo work in such a short time frame. It was really inspiring. 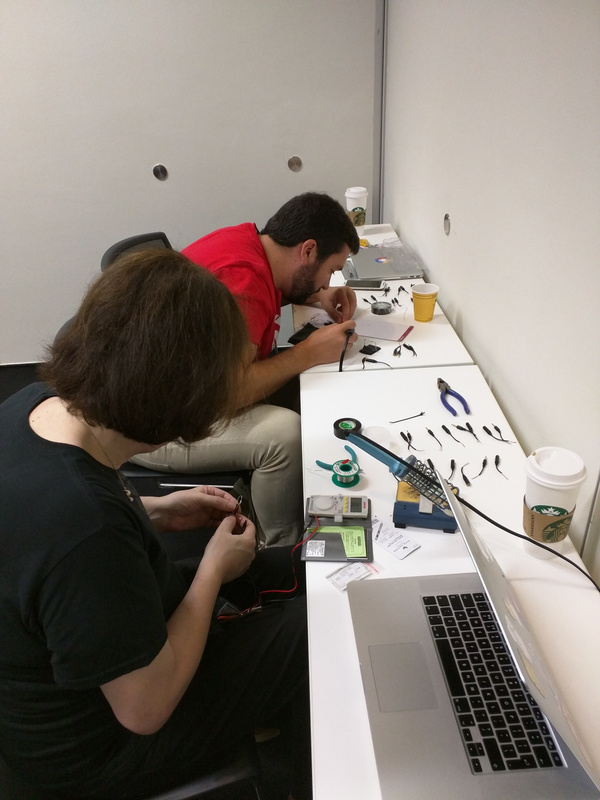 Here is a couple of my teammates soldering up adapters on the morning of the event. And here's one of the finished products :) Totally geeky right? I also gave talks at lots of industry conferences in APAC. I spoke at Tech Planet in Seoul, Gave a keynote at iTHome DevOps in Taipei. So this brings me back to my other thought: that Google is the easiest and the hardest, the most fun and the least fun company I've worked for. This seems like a contradiction. But it really that it's the easiest place to work in some ways in the hardest to work at in others. The people at Google are great. They are really, really smart thoughtful people that are great to work with. No place is perfect, and there are still frictions here and there but, by in large, the interactions I have at Google are overwhelmingly positive. The benifit of working with smart, thoughtful people cannot be overstated. In this way it's one of the nicest places to work. I got the feeling, during my first year, that systems and policies at Google are well thought out and make it easier to be productive. Things like the performance reviews at Google are well defined and not arbitrary. That makes it easier to know what you need to do to be promoted and doesn't get people promoted or not promoted arbitrarily. Google's internal systems and tools are also very good. Training tools and collaboration are really easy. The people, systems, and policies are great but the downside to having great people working with you is that you don't feel like you're very smart or special. This is especially true if you previously worked in a place where you were important and respected. Your colleagues are very smart and are always doing great things so it's easy for you to compare yourself to them and be found wanting. This can manifest itself in many ways. one is Impostor Syndrome where you don't recognize your accomplishments feel like you aren't skilled enough to be working at Google. Some people feel like their lack of skill would be found out and they may get fired. I can't say that I've really felt like I have Impostor Syndrome (I can't be not internalizing my accomplishments if I haven't accomplished anything can I? ^^) but I have felt as though I was inferior compared to my co-workers. Another manifestation is the fear of missing out. 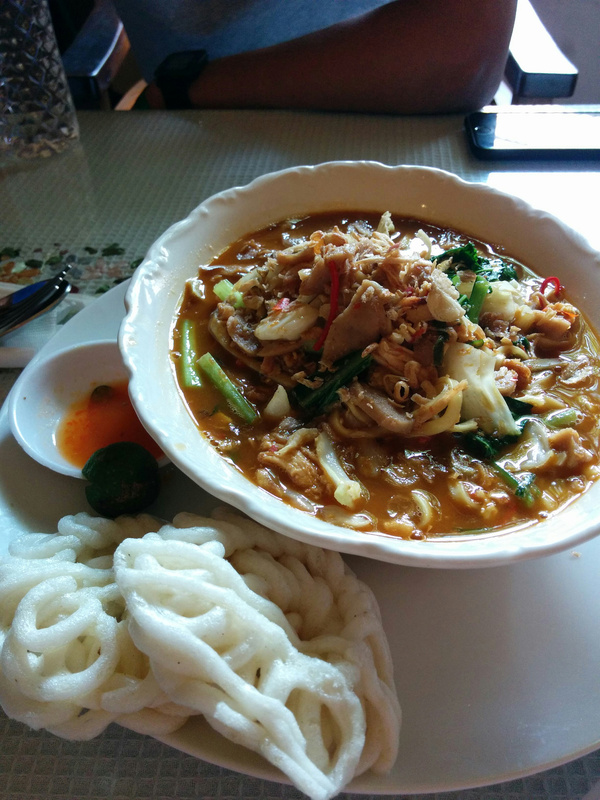 This happens often because my co-workers are always traveling and always doing great things. I often compare the work I'm doing to theirs and feel like I'm missing out on opportunities to do more or better things. It's very similar to the feeling you get when your friends are writing about how their going skiing or camping or to the beach and you're stuck at home. This part of Google is what makes it one of the hardest places to work. It's an amazing place where people are doing great work all the time. But it is really hard to balance your life and maintain psycological well being. 2016 is going to be really great. Google Cloud Platform is growing very quickly and it's awesome to be a part of that. I'm working hard planning my time this year in order to grow as much as possible. Last year I did a lot of work but I feel like the impact was light for each trip so I spread myself a little too thin. This year, I want to focus on the quality of my talks and interactions with developers and create OSS projects, demos, and talks that help inspire and inform developers better than last year. I'm really excited for this year and I hope you are too.